Spending time with your family admiring the brightly lighted tree. Staying toasty by the dancing fire. Cooking up a feast for festive guests. Imagining the excitement on the faces of your loved ones as you wrap the perfect gift. Spending time with your family admiring the brightly lighted tree. Staying toasty by the dancing fire. Cooking up a feast for festive guests. Imagining the excitement on the faces of your loved ones as you wrap the perfect gift. All of these welcomed distractions make the holiday season the most wonderful time of the year. But, with all of these distractions, it is important not to lose sight of safety and injury prevention. With the winter weather and countless holiday activities, being proactive can go a long way towards keeping your family safe during this holiday season. The Sault Ste. 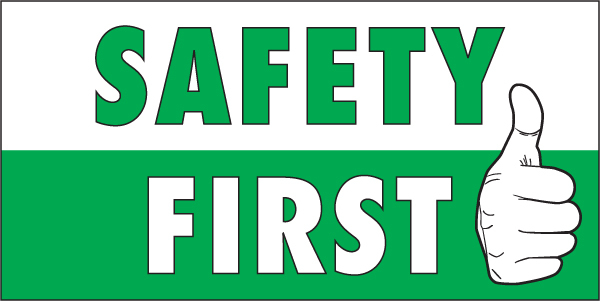 Marie Safe Communities Partnership wants to offer you some tips to help ensure that everyone in your family has a happy, safe and injury free holiday. 1. Use Canadian Standards Association (CSA) certified lights and inspect lights for cracked bulbs and for frayed, broken or exposed wires before decorating the tree. 2. Turn off the tree’s lights when you leave your home and before you retire at night. 3. Choose decorations that are flame-retardant, non-combustible and non-conductive. 4. Never use lighted candles on your Christmas tree. 5. Place your Christmas tree in a location that can be easily monitored to avoid accidents with curious children and pets. 1. Always follow the recommended ages on toy labels, as well as evaluating your child’s developmental stage, to ensure it is appropriate. 2. Toys can pose a hazard to children given their size – if it is small enough to fit in a child’s mouth, the child can choke on it. Test the choking hazard potential of toys by checking to see if toys, and their pieces, fit through a cardboard toilet paper roll. 3. If the toy requires batteries, make sure they are locked in the toy in a child proof way. Batteries are a choking hazard, but can also be swallowed as well as cause burns. 4. Repair or discard broken toys. Check often for loose parts, broken pieces or sharp edges that could unexpectedly harm children while playing. 1. Wash your hands thoroughly and often – before, during, and after food preparation to minimize bacterial contamination to keep your food safe. 2. Refrigerate leftovers within two hours of preparation, as leaving food out too long at room temperature is one of the biggest holiday food safety dangers. 3. Reheat leftovers to 165 degrees to ensure that all the food is at the appropriate temperature to kill bacteria, as microwaves are notorious for heating unevenly. 4. Keep guests and their wandering eyes – and fingers – out of the kitchen. Holidays occur during cold and flu season, so it is important to prevent anyone from picking at the food while it is being prepared to minimize the spread of illness. 1. Follow the rules of the road and avoid speeding, even if it means you are a little late for the party because you’re rushing to pick up the last minutes gifts. 2. If you are travelling during the holidays, be well rested for a long drive and plan the trip so that you share driving responsibilities to avoid fatigue. 3. Limit distractions and don’t use your mobile device while driving. If you know that a family member or friend is driving, don’t text or call them to ensure they are not tempted to answer. 4. Plan ahead to guarantee that you have a safe ride home from holiday parties so that you are not intoxicated behind the wheel. Designate a driver or use cab services to ensure road safety for everyone. The Sault Ste. Marie Safe Communities Partnership wishes everyone a joyous holiday season and a New Year filled with health, happiness, prosperity and safety!